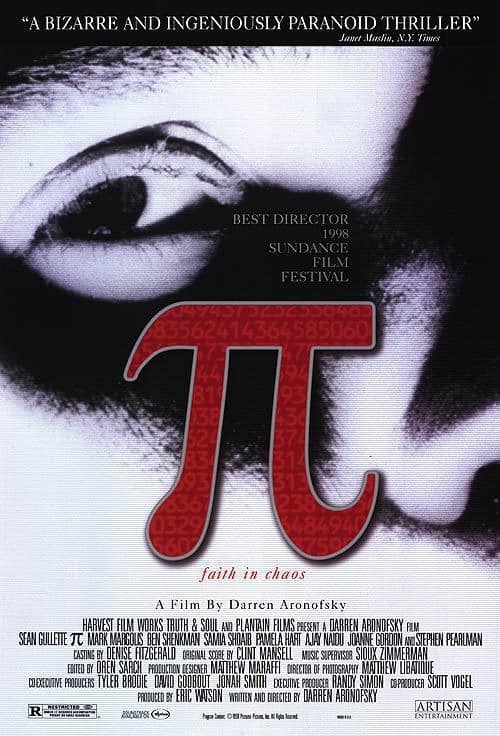 The poster for the movie Pi. The psychological thriller marked the first major film from Darren Aronofsky. Maximillian Cohen: 11:15, restate my assumptions: 1. Mathematics is the language of nature. 2. Everything around us can be represented and understood through numbers. 3. If you graph these numbers, patterns emerge. Therefore: There are patterns everywhere in nature. Permalink: There are patterns everywhere in nature. Something's going on. It has to do with that number. There's an answer in that number.